I am glad that You have found Your way to my candles website! 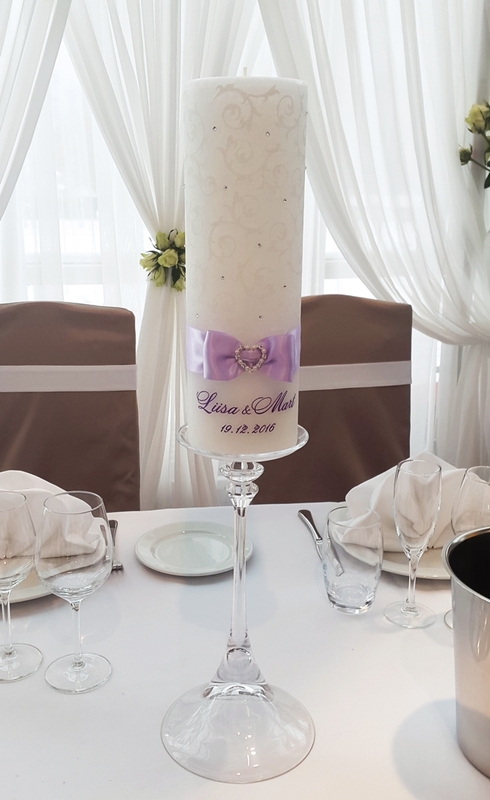 My hobby is to design and decorate candles for weddings as well as for other events. I have had the hobby since 2003 so there’s a high probability that I am one of the most experienced candle painters in Estonia. All the candles on this website are meant as design examples and all of the aspects to them can be changed according to Your wishes – size, colors, tones of pearls and crystals, ribbons etc. Even more of my works can be found on my Facebook site: http://www.facebook.com/kyynlad.